There is no doubt that new products and trends are always on our radar. We always have our finger on the pulse of the industry to bring our customers the best options for their design projects. So when we heard about GRAFF’s latest faucet collections, we had to witness the hype for ourselves. 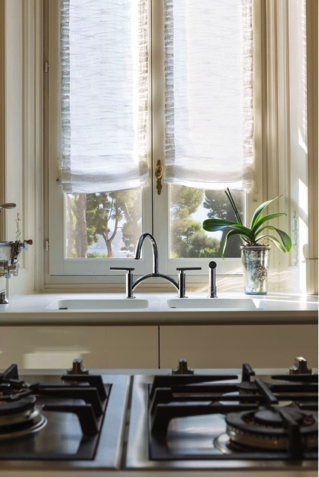 American ingenuity and European craftsmanship are the cornerstones of GRAFF’s design commitment to create innovative, cutting-edge mixers (faucets) and plumbing accessories. Supported by over 80 years of plumbing and hardware manufacturing experience, GRAFF’s luxury kitchen and bath offerings include a range of contemporary, transitional and traditional products. They are on the forefront of design – always creating sophisticated and cutting-edge collections. And this year, we are completely blown away by GRAFF’s newest faucet collections, Finezza and Sospiro. Featured in the project “Art of Bath,” especially at the Salone del Mobile exhibition in Milan, this faucet collection was created with the context of art in mind. The collection’s grace, elegance, and clean lines absolutely take our breath away. We envision it in a home surrounded by traditional style and modern elements. It’s versatility gives it a timelessness, making it a fashionable choice for a lifetime of enjoyment. We are especially obsessing over the faucet’s unique shape! The base and top are wide, while the middle slides into a slimmer figure. Do you see how it resembles a human body? Finezza’s faucet design is unparalleled. 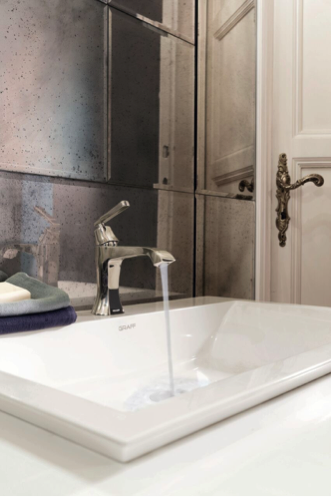 In addition to GRAFF’s Finezza faucet collection, we can’t take our eyes off the Sospiro faucet collection. Designed as a bridge faucet with a classic silhouette, the Sospiro faucet illuminates a clean, minimalistic feel. Not to mention, user friendly! One of our favorite aspects of the Sospiro faucet is that it fits perfectly in an at-home bar station. The stylish aesthetics look sleek with an in-house bar. Hello, contemporary twist! Now that sounds like the perfect cocktail, doesn’t it? If you are as interested and in love with these faucets as we are, then head down to our showroom and see for yourself! We take pride in being the first showroom to display GRAFF’s latest collections. Please contact us at (858) 346-7455 to speak with one of our experts. We look forward to seeing you in the showroom soon!